Edinburgh's Darcy Graham crosses the line for the decisive try of the game. Edinburgh rose to the occasion to complete the magnificent feat of defeating Montpellier 19-10 to top their quality-stacked Heineken Champions Cup pool and soar into the knockout stage of Europe’s elite club competition for only the third time. 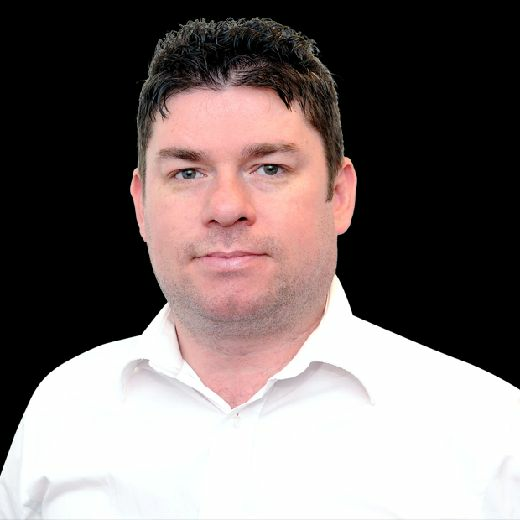 The by-product is that Glasgow too are carried into the quarter-finals on the Capital’s coattails but tonight it was Richard Cockerill’s players who deserved the plaudits and moment in the limelight. A tight and cagey affair was negotiated masterfully by Cockerill’s men as, similar to last week’s historic triumph at Toulon, a French powerhouse club with vastly superior resources had to bow to the power of Edinburgh’s collective spirit and skill. Darcy Graham, the 21-year-old winger from Hawick, was the home side’s tryscoring hero in the second half, while stand-off Jaco van der Walt contributed 14 points with the boot as a home quarter-final was secured to the delight of a Scottish record European pool stage crowd of 11,802. On his return to BT Murrayfield, Vern Cotter chose to start watching the match pitchside, not far from the spot where he bade an emotional farewell to Scotland supporters 21 months ago at the end of the 2017 Six Nations. 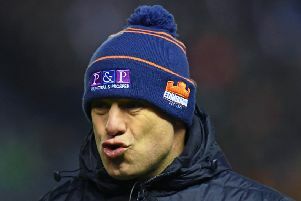 Prowling the touchline in front of the visiting dugout the New Zealander watched an Edinburgh side containing a number of his former Scotland charges boss territory and possession in the first quarter. Two straightforward penalty chances were the reward and stand-off Van der Walt’s reliable boot made no mistake to open up an early six-point lead. A fragmented ten minutes unfolded from then on, including a period when Scotland openside Hamish Watson received on-field treatment for what appeared to be a hand injury from a tackle. He departed in the 29th minute to be replaced by Luke Crosbie. Edinburgh got a good nudge on in the next scrum, accruing a penalty just under 40 metres out but straight. Van der Walt was uncharacteristically wayward this time, however. Veteran former Springboks tighthead Jannie Du Plessis was withdrawn just after the half-hour mark and his unrelated second row namesake Jacques was the next Montpellier to transgress with a high tackle on WP Nel which gave Van der Walt another chance to stretch the lead out. It was from a similar distance but straighter on than the previous missed opportunity and there was no mistake this time from the home No 10. Edinburgh started the second half on the front foot but the momentum stalled and Montpellier won a 46th-minute penalty which Pienaar converted to put his side in front for the first time. A penalty won inside their own half gave Edinburgh a foothold back in, with Blair Kinghorn booting the penalty into the French side’s 22. Van der Walt’s grubber behind the defence came to nothing but the Scots came again, Duhan van der Merwe almost breaking through down the left before the visitors eventually forced a turnover. A teasing kick to the corner from Van der Walt forced a lineout 15 metres out and referee JP Doyle judged that the subsequent Edinburgh maul had been illegally halted. The home stand-off stood and delivered to nudge his side back in front. Edinburgh got the opportunity to move the ball through the hands with penalty advantage as the clock ticked towards the hour-mark. Another lineout in the French 22 saw the home maul on the march again, forcing the visitors into desperate defence before Henry Pyrgos’s pass to the right wing saw Graham float in unopposed at the corner. Van der Walt’s majestic touchline conversion meant Edinburgh had hauled back the nine-point lead surrendered either side of the half. A loose kick from Kinghorn saw Montpellier briefly threaten until another penalty for the home side sparked a roar from the home crowd who were beginning to sense that a momentous victory could be closed out. The respite was brief as the French came in waves again before openside Yacouba Camara’s fumble relieved the pressure. Montpellier continued to conveniently cough up penalties as the closing ten minutes ticked ever closer to a satisfying conclusion. 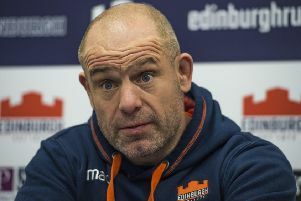 There was a sniff of an interception chance for substitute centre Yvan Reilhac and Montpellier had one last dash but the Edinburgh defence held firm and a famous victory was theirs to savour. SCORERS: Edinburgh: Try: Graham. Con: Van der Walt. Pens: Van Der Walt 4. Montpellier; Try: Jacques Du Plessis. Con: Pienaar. Pen: Pienaar. Edinburgh: B Kinghorn; D Graham, J Johnstone, C Dean, D Van der Merwe; J Van der Walt, H Pyrgos; P Schoeman, S McInally, WP Nel, B Toolis, G Gilchrist, J Ritchie, H Watson, V Mata. Subs: D Cherry, A Dell, S Berghan, F McKenzie, L Crosbie, N Fowles, S Hickey, JP Socino. Montpellier: F Steyn; T Nagusa, A Vincent, J Serfontein, T Immelman, J Goosen, R Pienaar; G Fichten, B Du Plessis, Jannie Du Plessis, N Van Rensburg, Jacques Du Plessis, F Ouedraogo, Y Camara, L Picamoles. Subs: V Guidicelli, U Tcheishvili, Chilachava, K Galletier, Y Reilhac, B Paillaugue, V Martin, P Willemse.